The permanent charter for H.U. 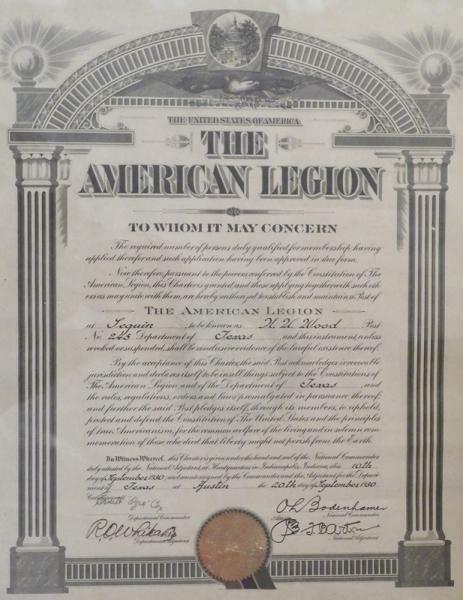 Wood Post 245 was issued on September 10, 1930. In 1936, the Post bought the Seguin Bowling Club for its Legion Home. The Post continued to add its part to community projects.